Since I got my iBook G3 I have been searching for ways to increase it’s performance. Last night I was doing a search and started reading through an article that I saw a while back that I didn’t read before because it was quite long. In the article I saw a link to an application that would disable the shadows around window borders and speed up your system. 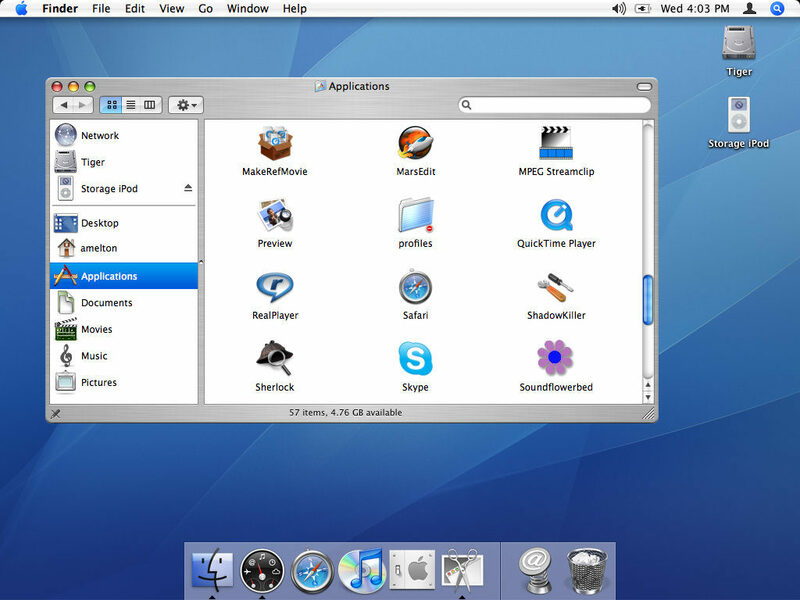 The application’s website said that it would significantly improve performance on older G3 Macs. I downloaded, installed and ran the application. I was immediately blown away. The application disabled the shadows and my system was much more responsive. The mouse felt much more responsive and windows opened and closed much faster. I opened up iTunes and could even use cover art. I’m not sure if this is because of the latest iTunes update or because of ShadowKiller. I do know that before I upgraded to the latest release of iTunes that I could not use the cover art browser. When I first ran this application I was very pleased with the added performance that I gained from disabling the shadows. I had to reboot my system last night and when I logged back in the shadows were back so I had to disable them again. I can simply add the application to startup items to solve that problem. After I had rebooted and disabled the shadows I was not as blown away with the speed increase. I’m not sure why this is and would welcome feedback on that. Maybe my system was just needing to be rebooted. I’ll continue to use the application because it does speed up the system somewhat, just not as much as it did when I first killed the shadows. It takes a little bit of getting use to not having the shadows. As I was typing this entry I had the window in front of another window with a white background and could not tell that the window I was typing in was shorter than the other window (I hope that made sense).